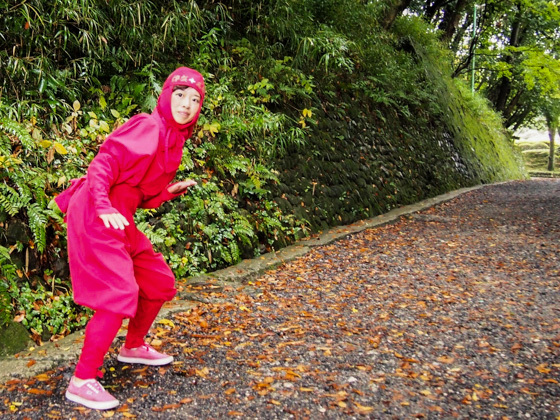 Change into a Ninja costume to start your trip! 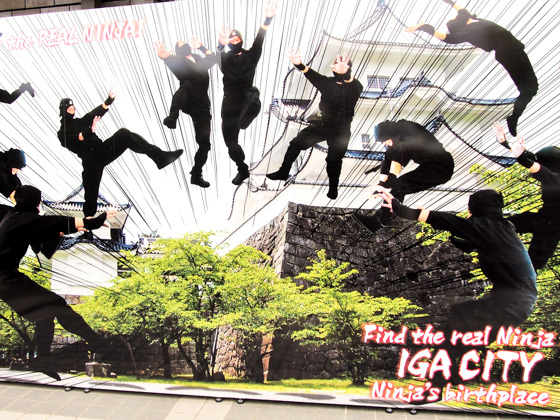 「Ninja costumes are available for rent at the "Ninja Henshin-dokoro". Borrow one and walk around the town as a Ninja. One way to have more fun! 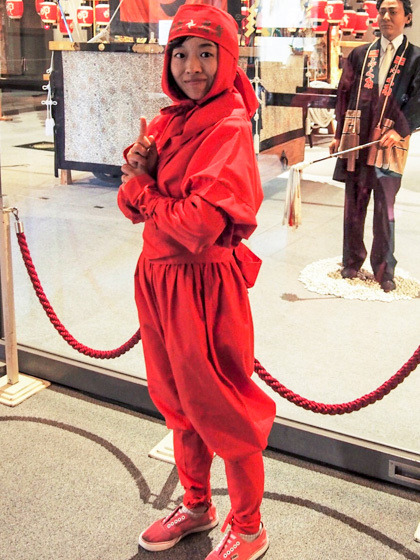 * "Danjiri Museum, Ninja Henshin-dokoro" Rental Ninja costumes: 1,080 yen from 10:00 to 16:00 (Must return the costume by 16:00). A separate entrance fee of Danjili Musuem is required. * There are several more "Petit Ninja Henshin-dokoro" to rent a costume. 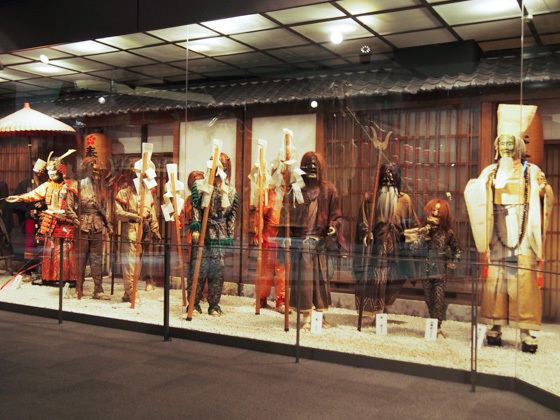 Experience the authentic Ninjutsu at the "Ninja Museum of Iga-ryu"
It is one of Japan's leading Ninja museums which exhibits records and gadgets of the Ninja who played an active role behind the scenes of the Sengoku period. A must-visit spot in Iga to get to know about and experience the Ninjutsu (skills and techniques of the Ninja) which have been inherited in secret. In TV cartoons, we often see Ninjas fighting with enemies by using special skills. Originally, the Ninjutsu used to be a Japanese intelligence system that enabled one to control the enemies without fighting directly and to coexist with them. Experience what it's all like to be a Ninja. * Admission fee: 756 yen for adult (15 years of age or above), 432 yen for child (ages 4 to 14). 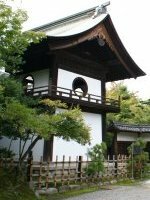 The "Ninja Yashiki" looks like an ordinary farmer's house at a glance. Guide staff dressed in a Ninja costume will show you the secrets of the house such as the Revolving Walls or Trick Door. 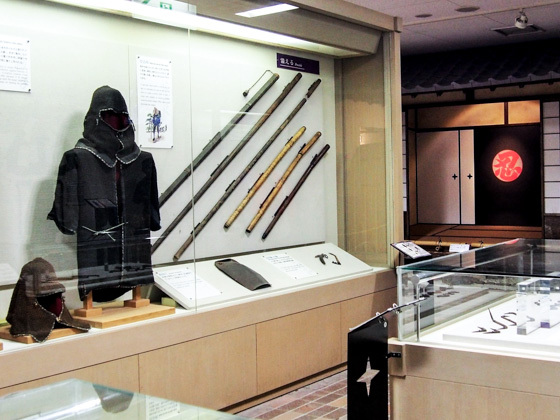 At the "Ninja Experience Hall" and "Ninja Tradition Hall", gadgets and code texts which were used by Ninja are displayed. You can learn about the knowledge, workstyle, and history of Ninja. Take the opportunity to try the Shuriken (throwing star) techniques, one of the typical Ninjutsu skills, here at the museum! Staff dressed up in Ninja will teach you the method. Feel free to try. 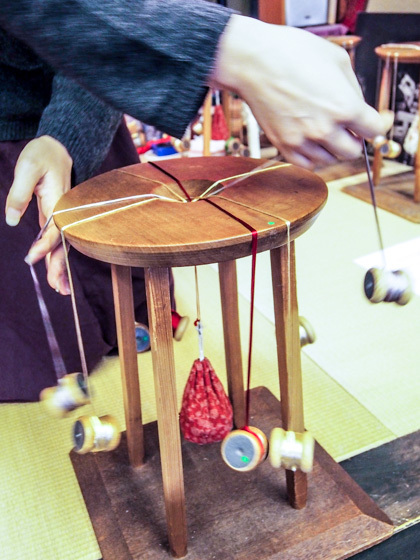 The Shurikens are heavier than expected and you will find it hard to hit the target. If you think you're good with it, why not think of starting a new carrier as a Ninja? 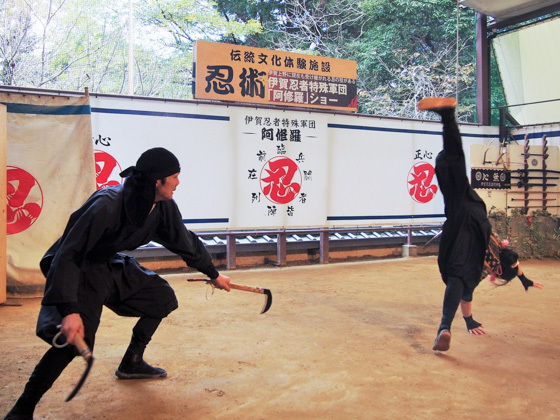 There is a show performed by authentic Ninjas, which is truly compelling. 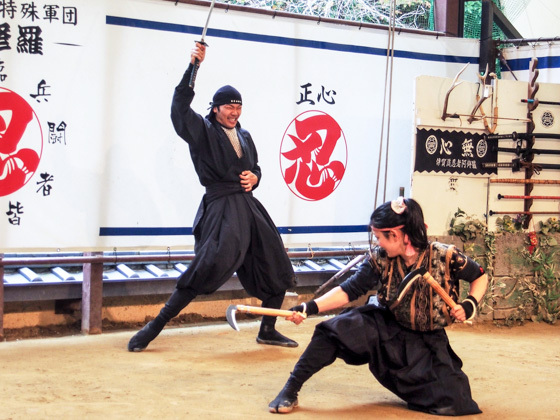 Details of the Ninjutsu are explained, and the Ninjas will perform using real gadgets such as the Shuriken, Katana (sword), and Fukiya (blow dart). A truly exciting show with various techniques that are all breathtakingly refined. * Show ticket: 300 yen (400 yen from April 2016). It is separate from the museum admission fee. * Part of the show can be observed in English and Chinese. 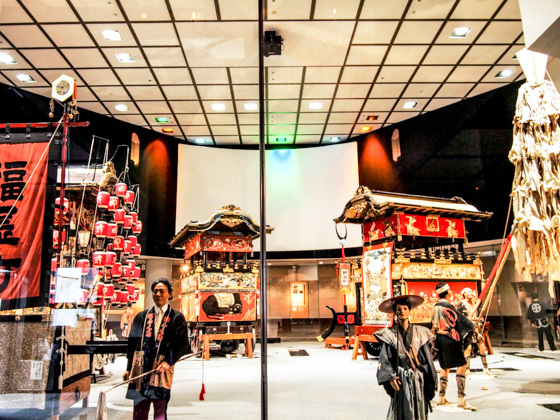 Feel the ambience of the Ueno Tenjin Matsuri Festival at the "Danjiri Museum"
The solemn Danjiri (festival floats) and the Oni Gyoretsu display of the Ueno Tenjin Matsuri Festival, the biggest festival in Iga held between October 23 and 25 every year, are exhibited. 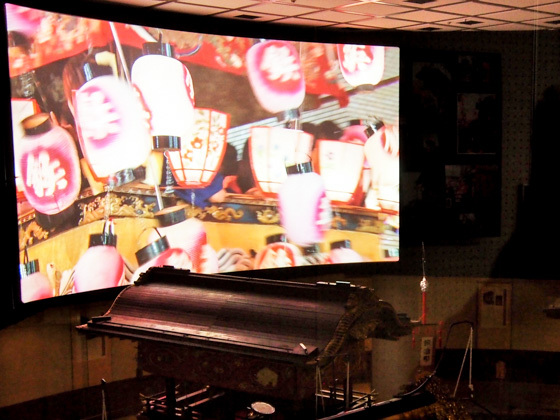 Feel the lively atmosphere of the festival in front of the wide screen which shows the Ueno Tenjin Matsuri Festival. You can find several picture taking spots also around the Danjiri Museum. 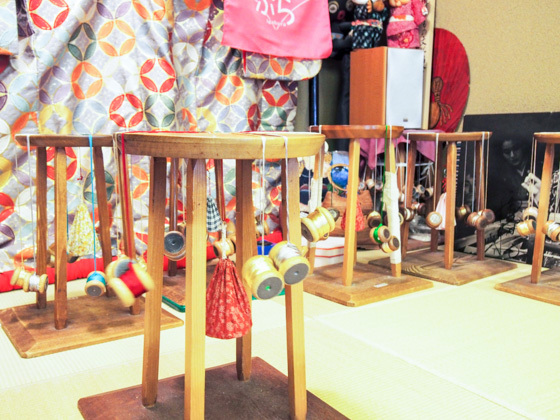 At the "Jibasan Kaimono-dokoro" souvenir shop beside the museum, a variety of Ninja goods, snacks and local Sake of Iga are available. * Hirozawa Tokusaburo Kobo, Kumihimo workshop: 1,000 yen. Advance reservation required. 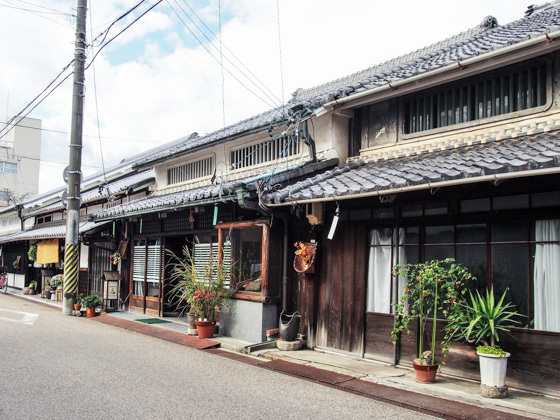 A number of pleasant architecture remains in Iga, an area that prospered as a castle town of Ueno Castle, and the Shukuba-machi (posting station) along the Ise Kaido route. Walking around the traditional town will make your trip even more exciting. The temple town, where white walls continue to stand, is a perfect picture taking background for those disguised as Ninja. It is also nice to stop by at some of the confectionery shops, the Katayaki Senbei (rice cracker) store, and art galleries. Manufacture of the Iga-yaki (ceramic ware) using the rich local porcelain clay is famous. It features drastic warp, unique patterns, and vidro glaze. The gallery here stands before a forest, very close from the Danjiri Museum. 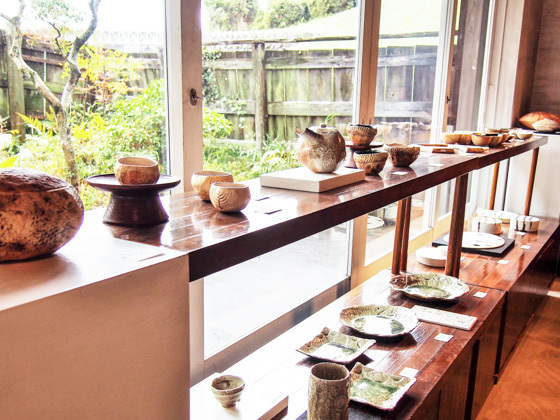 It exhibits and sells dishes, tea sets, flower basin and other products of the Iga-yaki pottery, mainly of the ceramic artist Tanimoto Yoh. The designs are sophisticated. Do not miss the opportunity to see them. 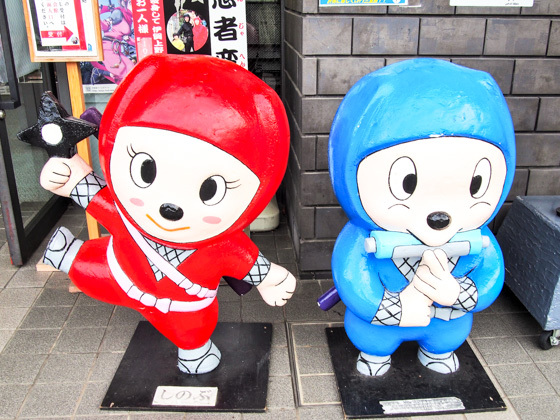 You will find Japanese confectionery shops and souvenir stores selling Ninja goods everywhere in town. The Katayaki Senbei (rice crackers) and Ninja goods (toy Ninja sword and set, Shuriken-shaped magnet, and more) are especially recommended. Get some before leaving the town. 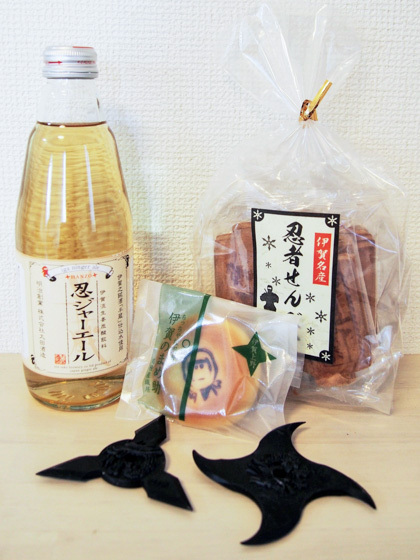 *Picture: (from left top) Ninjer-ale (ginger ale), Ninja Senbei (the Katayaki Senbei, which is a specialty of Iga), Mamesuke (Manjyu sweet buns sold at Kikyou-ya Orii), and Shurikens (rubber-made products are most popular). 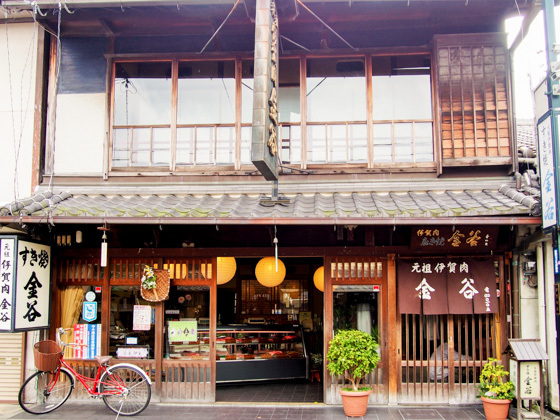 Try the Dengaku-za Wakaya, a traditional restaurant that serves Tofu Dengaku, a local food of Iga which has been loved by the people from the Edo period. 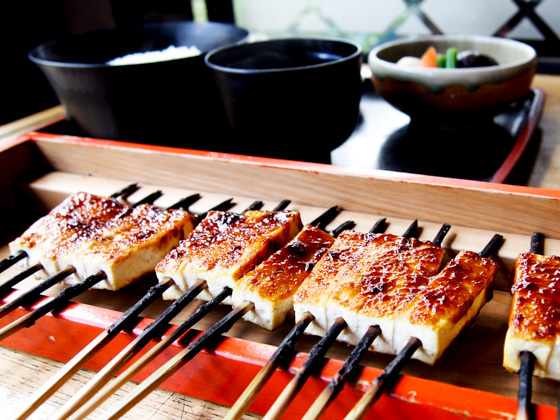 The Dengaku is made of carefully-selected ingredients, and is a vegetarian food. A very big beam is appealing in the sophisticated restaurant.You can also see the professional technique of making the Dengaku. Their original sweet dishes are also recommended. *Dengaku Teishoku A Set 1,550 yen, B Set 990 yen, Course 3,240 yen. *Please be noted that the Suimono (Japanese broth) and simmered vegetables are made using animal soup stock including bonito. 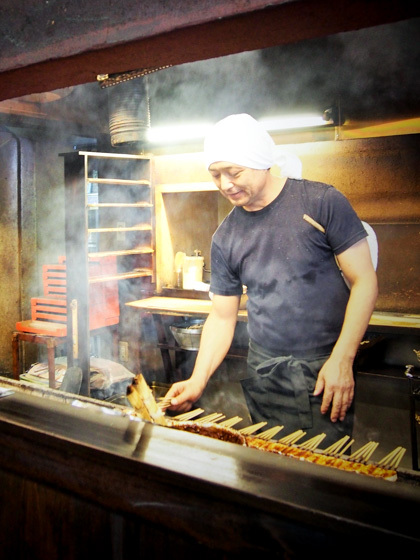 The "Iga beef", one of the branded Japanese beefs produced in the region is very popular. Melting tenderness and the fine taste of Iga beef becomes even more delicious when eating it in Sukiyaki. Various restaurants in the city offer Iga beef. If you have enough budget, we definitely recommend the traditional restaurant "Kanaya". * Sukiyaki 7,722 yen, beef saute with butter 8,316 yen, grilled beef 8,316 yen, and etc. 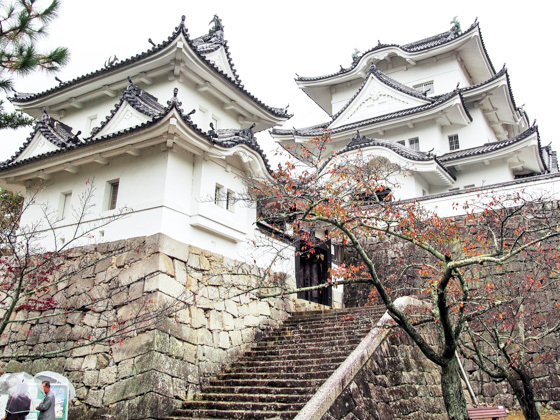 *This article is written with the cooperation of Igaueno Tourism Association.